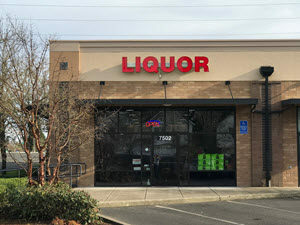 The Best New Liquor Store in the greater Hillsboro, Aloha, & Beaverton, Oregon areas. 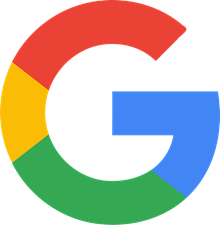 Google, Yelp & Facebook – and we’d so appreciate you helping us spread the word! 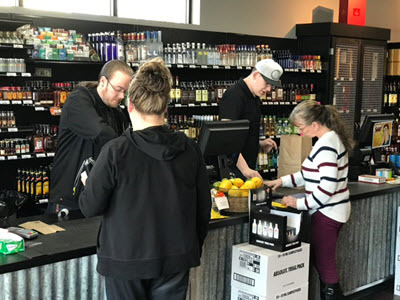 Open since November 2016, Baseline Liquor is proud to offer a convenient, spacious and upscale liquor store with one of the largest selections around, centrally located in the Hillsboro and Aloha areas. We’re in the heart of the High Tech industry on the corner of SE Baseline Rd and NW Cornelius Pass Rd. To serve you better we’re open extended hours, later than other surrounding liquor stores. 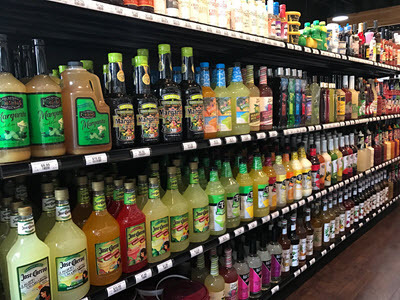 With over 2,600 sq ft of retail space, and another 1,400 sq ft of adjacent warehouse, we’re able to keep your favorite (and even hard to find) alcoholic beverages – including distilled spirits, liqueurs, wine, sake, and beer, in stock. 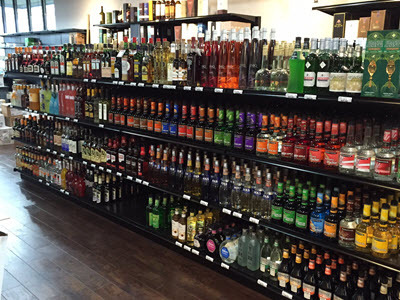 We also have a large mixer and soda selection, so we truly are your one stop shop for all of your cocktail needs. Need limes or lemons? Special olives for your favorite Martini? We have these too. Need a cigar to go with that Cognac? 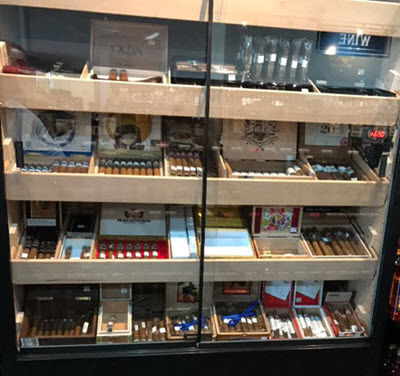 Check out our selection in our custom humidor. If gifts or barware are what you’re looking for we carry a nice selection of unique flasks, décor, and more. We’re adding to it every week. If you’re looking for something in particular (liquor or other other), let us know, we be glad to take a look at stocking it. Special orders are also welcome. A large Made in Oregon (and Pacific Northwest) selection offering local distilleries, wine and microbrews. A well stocked Asian and Sake section. Giveaways! We usually have 2-4 giveaways per month. Come by our store to enter for a chance to win. We’ve given away a Traeger BBQ, Firepit, TV and an Echo so far. VIP Loyalty Club. Join our club for exclusive offers, discounts and to get notified about upcoming specials and events. Check out our new and favorite drink recipes as you enter our store on the left. You’ll find our environment modern, clean and our staff knowledgeable and helpful – Customer service is our #1 Priority. If you’re not happy with your experience here, please let us know! If you’re interested in our Wholesale or On-Premise Program, get in touch and we’ll be happy to chat further. Thanks for visiting and we look forward to seeing you! 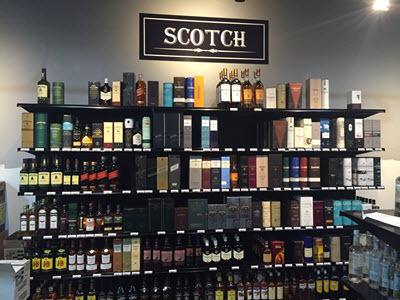 We carry over 2,100 types of common and hard to find liquor and liqueurs. You'll find good selection no matter what you budget or taste buds are looking for. Be sure to check out our LARGE 12 ft dedicated area. We carry a large selection of Vodka's with options using a base of Potato, Grain, Wheat, Barley, Rye, Sugar Cane and Grapes. Flavored Vodkas: Peach, Espresso, Salted Caramel, Candy Cane, Pineapple, Berries, Apple, Mango, Watermelon, Mulberry, Lemon, Cherry, Whipped Cream, Apricot, Banana, Vanilla, Melon, Grapefruit, Chocolate, Mandarin, and more. Explore our broad selection of classic single and blended malt Scotch Whiskies, aged in various types of casks - sherry and port. From the most popular to trending Tequila's you'll find on our 12 ft dedicated section. Whether you're looking for the traditional London Dry, Plymouth, Genever, Flavored Gin, Grape Based or New Wave with additional aromatics like floral, citrus or cucumber - you'll find what you're looking for here. Pair your favorite Gin with some of our fine selection of artisanal Tonic Waters (like Tomr's Tonic or Jack Rudy's), Ginger Beer, or gourmet olives and you'll ready to start your night out right. 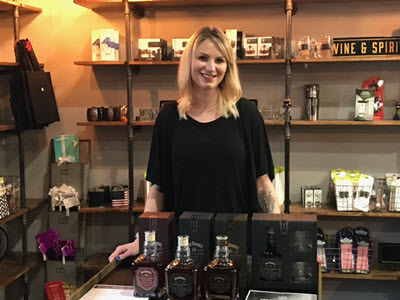 Whether you prefer an oak aged, traditional French or the mini brandy complex with many flavors movement here in the States (think copper pot distilled and aged in new oak barrels and bourbon), we're sure you'll find a brand that will keep you coming back for more. You'll find a number of brands and types to soothe your palette from cream liqueurs, fruits, herbs and nuts. 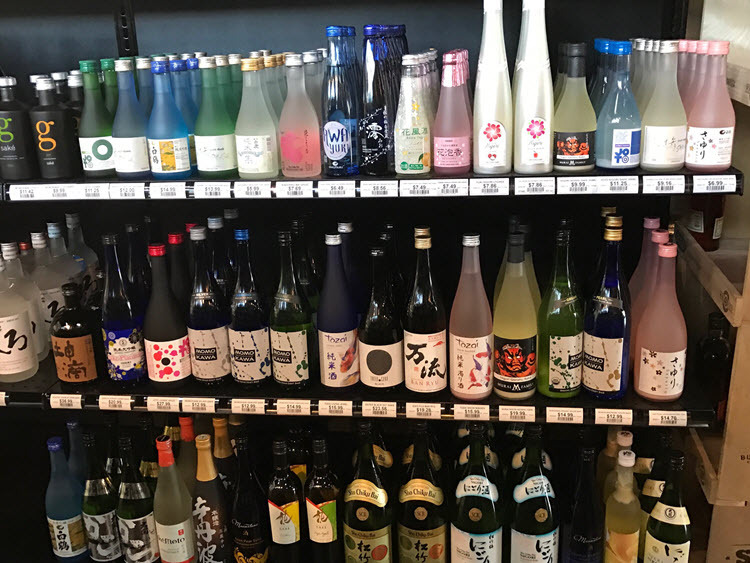 With a wine selection that will likely rival your nearest grocery store, we carry 350+ brands of wine (many local) and a large Asian section with Sake. 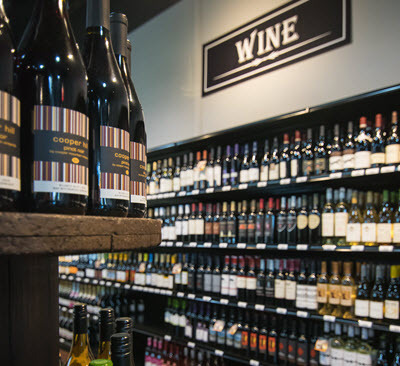 Our 32 foot large wall selection includes a wide variety from box wines to the finest of wines. Also check out our cooler near the beer for already chilled, refrigerated options. Merlot, Syrah, Cabernet Sauvignon, Malbec, Pinot Noir, Tempranillo, Sangiovese, Zinfandel, Blends. Sauvignon Blanc, Chardonnay, Pinot Gris, Riesling, Gewurtzraminer, Muller-Thurgau, Chenin Blanc, Viognier, Moscato, Blends. And check out our six packs! Chocovine - Espresso/Rasperry, Dutch Vanilla, Original Flavors. We stock over 175 domestic, import, and many local craft Oregon, Pacific Northwest and Regional microbrews. Whether you're looking for a six pack or large 22oz singles, you'll find a wide selection of quality craft beers, small batch and other popular varieties. 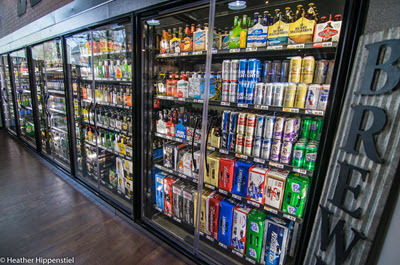 The broad selection of styles you'll find here are: Ales, Lagers, IPAs, Pale Ale, Pilsner, Stout, Porter, Wheat Beers, Bitter, Brown Ales, Lagers, Cider, Malt Liquor, Belgian. There are too many to list so below are just a small sample of the brands we carry. Portland Cider | Angry Orchard | 2 Towns Cider House | Incline Cider Co.
With plenty of space, we are able to offer a wide selection of common and specialty mixers, sodas, Rockstar, Redbull, juices, ginger ale, tomato juice, sparkling selzer waters, plain and flavored tonic water, club soda and more - over 24 ft of selections. And don't forget your lemons or limes at the counter! If you need cold beverages, check out the refrigerated section next to the beer and cider. We carry condiments such as maraschino cherries and olives for your favorite Martini - and more in the Asian and Sake section. In our custom humidor, you'll find a nice assortment of current top rated cigar brands. Grab a cigar cutter and holder to go, or it makes for a nice gift. 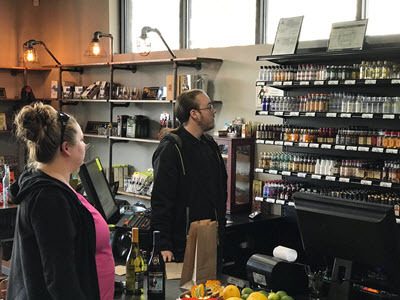 At the counter we also carry a variety Smokeless Tobacco and Cigarettes. Or pickup a bottle of our specialty liquors, Mini's, Large decorative 1.75L spirits options, or sampler packs for that last minute gift. We're proud to be able to deliver 7 days a week and same day delivery with orders placed before 1pm. Since we own our own delivery vehicles and have drivers on staff, we're able to provide this same day service as an added benefit to our wholesale accounts. If you're interested in our wholesale program, use the contact form below, or give us a call for more information. I stopped here to find a gift for a friend, and found the staff to be very friendly and helpful! I ended up picking up a whiskey from their local shelf, (who knew that Oregon had so many distilleries). 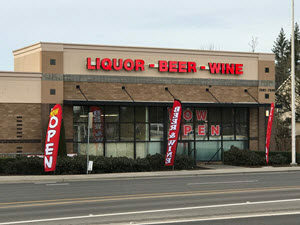 Great selection of liquor, wine, and beer! I will definitely be making this my go-to liquor store. OPEN 7 DAYS A WEEK!!!! And they’re open later than any other liquor stores in the area. Really awesome selection of everything. They also have a ton of beer and wine too. The store has a really upscale feel to it and the staff is all super friendly and knowledgeable. This is the only liquor store I shop at now. Great little liquor store! It’s not overly crowded, one thing I hate about the majority of liquor stores, no room to move around and browse the selection. They have all the basics that anyone could need. If you can’t find what you’re looking for they’ll help you find it or recommend something similar to what you’re looking for. Staff is helpful and friendly. Big, open space, friendly staff, great selection. They also sell beer and wine which is nice. Definitely my favorite liquor store in the area. We offer several events and giveaways each month. Visit our Events on Facebook (or click the events tab below). We look forward to seeing you! You'll receive special offers, giveaways, notifications of upcoming events, and more! We respect your privacy and won't share your information with 3rd party marketers.